Only gave up my M7 because the battery was going dodo after 18 months. My favourite phone was my htc one m7! Had 4 Samsungs since! 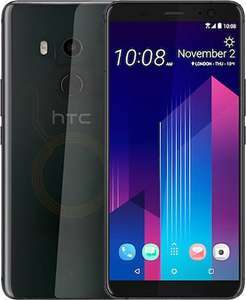 (Work) it's a shame htc seemed to lose popularity. Well I read Limetropic’s grade D and it says ‘not working’! XS is no benefit to me, it’s an iPhone X for all intents. XR just seems budget and a regression. So I’d probably settle on an X or XS Max, not sure if it’s too big though. They certainly ain't cheap mate! But yeah D is a bit of a no no. The XS seems better value, the XR even more so. Thanks! Grade D (lol) that’s a definite pass! I can live with a Vodafone unit as that’s where I’ll be in a month’s time anyway but O2 is easy to unlock too. I’m wondering if 64GB will rapidly frustrate me - lots of decisions to be made. £749 pristine on 4gadgest locked to EE. https://www.4gadgets.co.uk/mobile-phones/apple/iphone-xs-max/gold £759 lime tropic ebay good Grade D £695 Xs max https://rover.ebay.com/rover/0/0/0?mpre=https%3A%2F%2Fwww.ebay.co.uk%2Fulk%2Fitm%2F202468011264 £640 xs good xs items https://rover.ebay.com/rover/0/0/0?mpre=https%3A%2F%2Fwww.ebay.co.uk%2Fulk%2Fitm%2F332860625901 £670 grade c cex https://uk.webuy.com/search?stext=IPhone%20XS%20max&amp;sortBy=sellprice&amp;sortOrder=asc&amp;categoryIds=844&amp;inStock=1 Cex best obviously, but may come battered (as you know) the pristine at 4gadgest is good, only one left mind. Are you going to suggest CeX? I would probably be fine with that, end of the day a phone gets used anyway so few scratches means I don’t need to panic over it myself. Mine was mint but I have micro-scratches on the body from the case. I am thinking maybe I’ll jump to the XS Max for now as they’re reasonably priced. They did, they did.. U12 plus was their last hurrah methinks. It didn’t: https://m.gsmarena.com/htc_one_a9-7576.php iPhone 6 was a year before in 2014. There was loads of coverage in the media about how Samsung were the ones copying and HTC just cloned it almost identically! This came out before the iPhone 6 I believe. Yeah, I remember seeing it in adverts thinking what a good looking phone. How sad. I think if it had launched at this price it might have sold a bit more, not sure it's really a deal if you can get better supported 2018 flagships for sometimes less money. Shame as I've loved HTC over the years. I just hope they get to make some great Pixel phones that don't get ruined by Google's trademark lack of polish. Due an upgrade from my HTC U11. but, what to go for? Not keen on Samsung or Apple or any of these Chinese models. Looks like I'll have to stick with U11 &amp; go sim only deal? Ha ha Xiaomi Note 5 looks like an iPhone clone. Agreed though, it is quite a large chin, considering the fingerprint sensor is at the back. Not sure why, boomsound maybe? I'd avoid HTC for now. They used to be my go to handset, but unfortunately they are lacking in updates and most other areas now. Thanks, was going to order til i read this. Thought not, nevermind. 8) freya = freya stark - bo = garbo. Both (strong) back in the day. 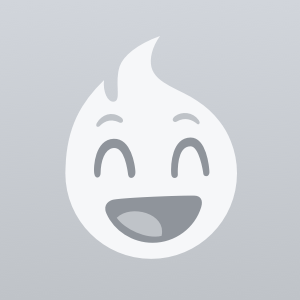 (y) ;) Not nearly as inventive as your un. Haha. Received my Grade B 7 Plus today. Very impressed. The only marks that can be seen are the ones on the back as you can see in the pics. Despite being advertised as no accessories, the phone came in it’s box with sealed charging cable, earphones and genuine case! 100% buyer satisfaction. A used device in excellent cosmetic condition. 30 days return! M8 was a great phone in its time, but my point being about the u11 plus is, they haven't changed the UI forever, so it just felt like I was back in 2013, most oems tweak/improve their respective UI, htc must have just thought "well it worked in 2013, it will work now"
No, just keep the G6 plus... The G6 however I'd say get this. Seems a good reduction Mrswitch, heat (y) Had a HTC Sensation years ago, buggy as hell. Would you choose this, Redmi Note 7 or the Moto G6 plus that was up few nights ago from Amazon.es, have it pre ordered but plenty time to cancel ? I'd take this over the new moto G7 and save £50 if I was in the market for this type of phone. This was an equivalent to S8+/Note 8/Mate 10/Pixel 2XL, quite a different league to compact phones - don't get me wrong, I like XZ1C but processor was kind of only thing in common here. Screen size, looks, camera, premium quality. To name but a few. Genuinely I haven't looked in detail at the XZ1 compact but I had been searching for a 128GB dual SIM phone at a reasonable price and the XZ1 compact didn't appear - if it did have these essentials (for me) at £130 I would have been delighted. I ended up with a Pocophone. 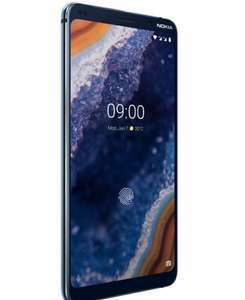 snapdragon 835 in sony xz1 compact for 130£ what makes up for rest of 150£? 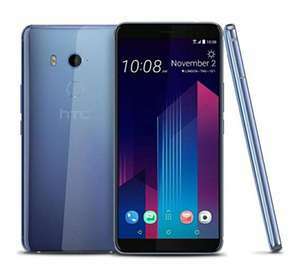 Was looking for a good deal for the HTC U11 and came across this. It's a bit long in the tooth now but HTC make some lovely premium hardware and it's probably worth the price. Not to mention that this device was basically a larger HTC 10 with most of the research gone into the design of the device without considering the spec sheet which is what other manufacturers at that price point had going for it. Again all of this considered, it still is not a 'bad' device on its own. Large nice screen, stereo speakers, great camera, nice second screen. It could have sold well had it been priced correctly. Priced as a flagship at launch (£500) but wasn't HTC's flagship for 2017. Big marketing mistake, it could have been king of midmarket at £300. Later that year price collapsed at same pace as HTC, it ended up almost being sold at a loss, despite being fine phone. Premium brand, premium device. at ebuyer "ex- display" = Returned. Lol, yeah I agree, but I csnt tell them to use the word used, and so it is what it is I guess. 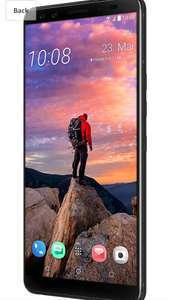 Grade B Honor 9 Lite 4G Unlocked & SIM Free £89.97 @ Laptops Direct (more in op) . It was okay but nothing to write home about. If I was at work and then went out in the evening, then I'd have to recharge it in the afternoon to ensure it lasted the day. How was the HTC battery life? Lol, we are all different, and some of those really annoy me, but give me this over stock and emui any day :D Have a good evening. I'm looking for a new mobile to replace my Axon 7, as the battery needs charging a few times a day. This looks interesting as the audio has been given good reviews. I need something with good Dolby Sound after using my Axon 7 and loving the sound quality. Ah yeah massively, its weird to think that a brand like xiaomi, is now more popular than the once massive htc. Thanks for the heat! It's different as it's no longer people's first choices. Xiaomi and Huawei have taken over as alternatives to the usual big brands with HTC falling further down the list. Shows how quick the mobile market moves!